Check this out. 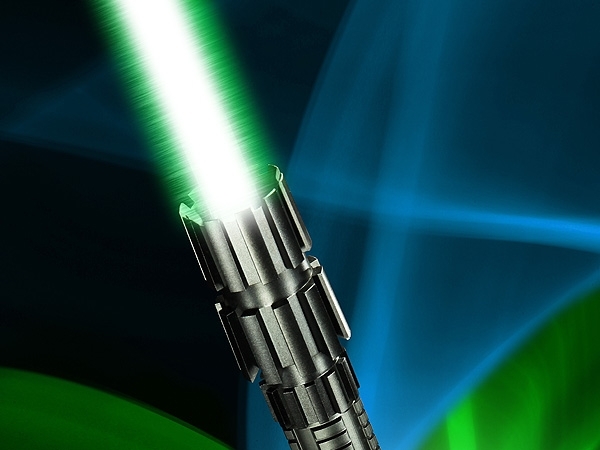 You can get a real life handheld laser now that can burn objects, and a Star Wars type lightsaber, for $299. See the links below to the manufacturer's website, which contain video demonstrations. 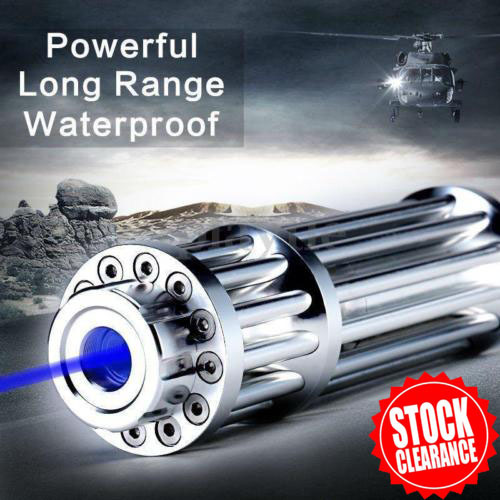 I've always wanted a laser weapon. Btw, do you think the technology exists to create hand held laser guns that can do more than burn paper or pop balloons? Can it damage metal like on sci fi movies? If so, I'd like one. I've always wanted a real laser weapon ever since I was a kid. 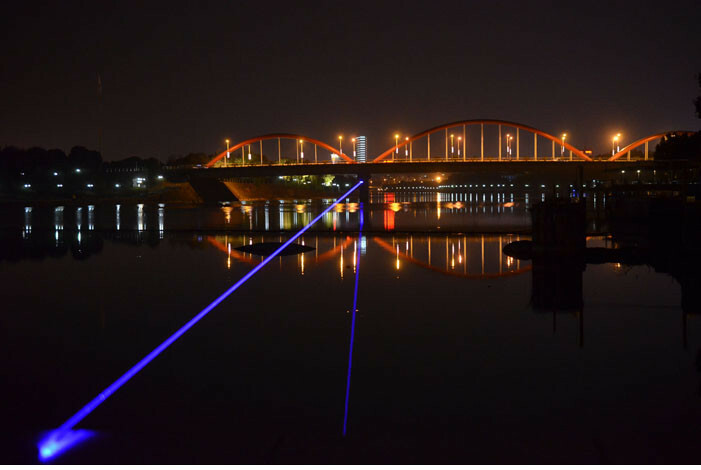 Could an independent laser technician design one? LOL George Lucas should do a scene like that in his next Star Wars movie. Re: Wow you can get a real laser gun and weapon now! Look! Video of the pulse gun. 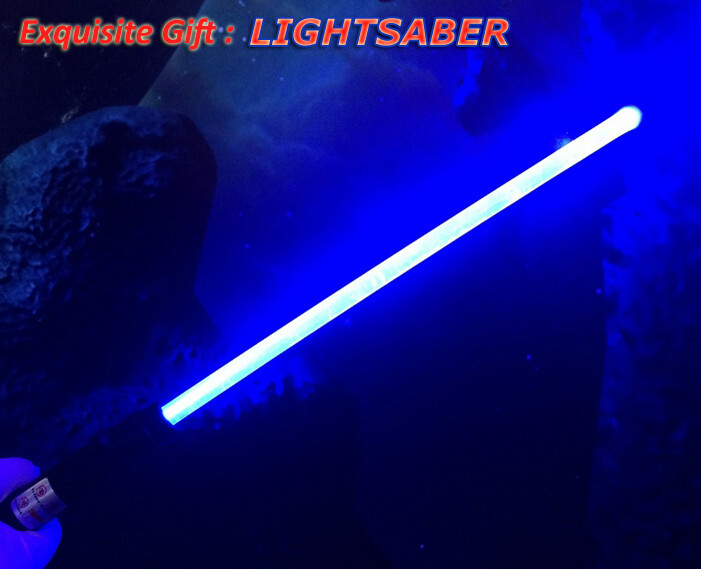 Wow it's powerful and the blue laser looks so cool! And it makes sounds too, just like in the movies! There's an Iron Man style laser rifle too! Another nice looking one! Looks like a big gun! Wow they even have one that looks like a Star Trek phaser! Neat! That's like a dream come true for me! Wow there's even a small pocket laser pistol too lol. Wow look they have laser rifles too! And they go up to 6W too. That's pretty powerful! Usually you can only buy lasers up to 3W. This one called Predator Rifle looks so rad and space age! I love these blue glowing lights. I don't see any prices listed, but I would imagine these laser guns and gadgets cost around several hundred dollars to buy. 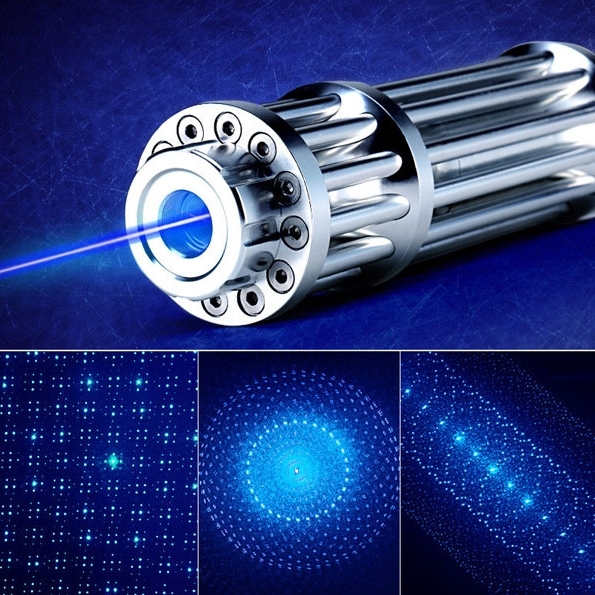 Wow check out this multi-laser canon that shoots six lasers! 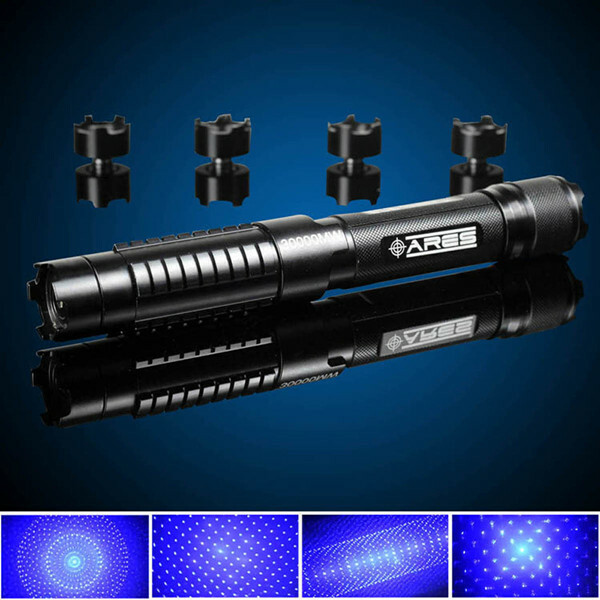 Some more online stores selling laser pointers and gadgets. 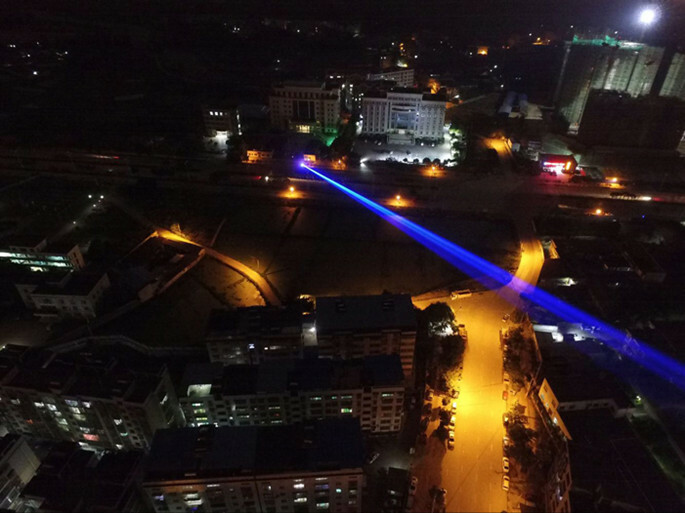 This one called SanWu Lasers from China sells a 7 watt laser. Wow. 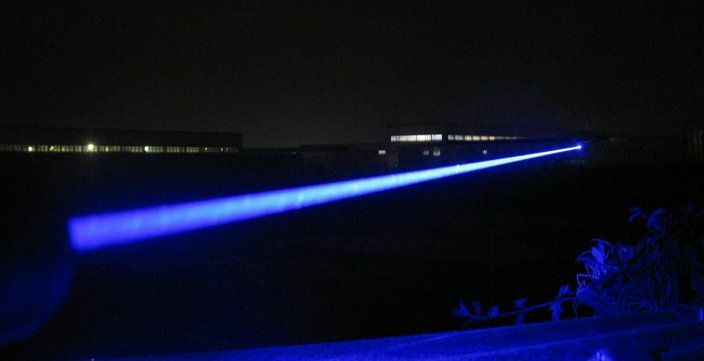 That's the biggest watt laser that you can buy legally online I think. The one from wicked lasers is only 3 watts. 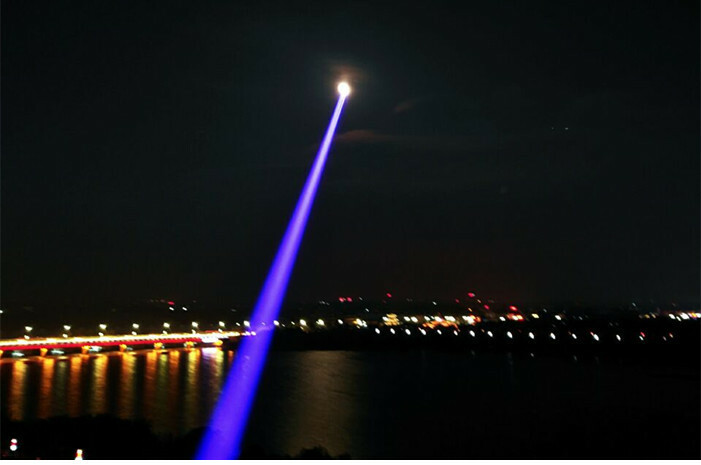 Demo of the 7 watt laser device's burning capability. 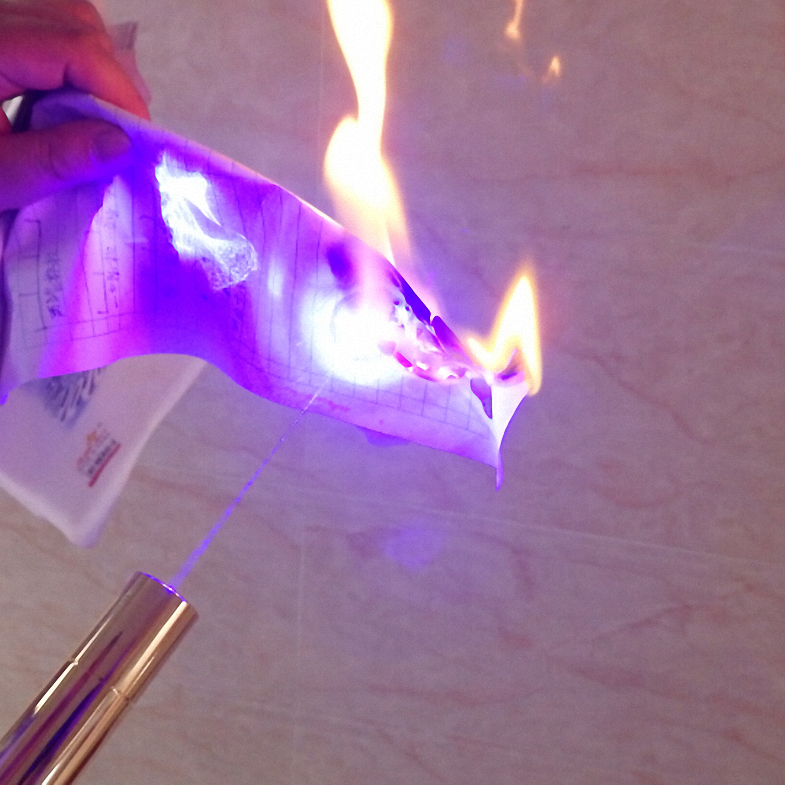 Btw you can even burn matches and paper with a pocket laser that has only 1 watt too. See demo below. Wow check this out. 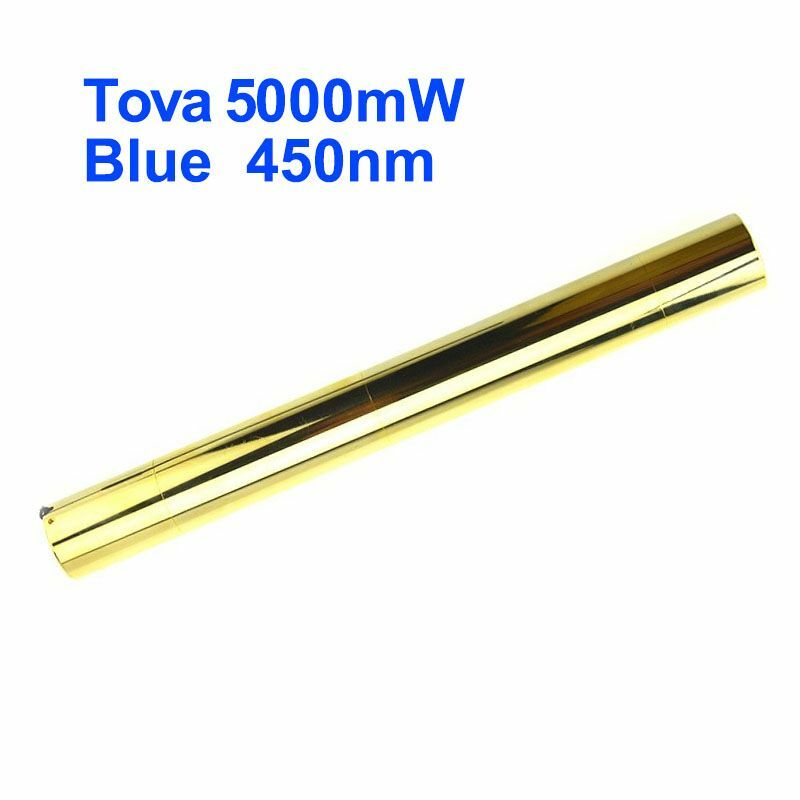 This pen sized gold laser shoots a 5 watt blue laser. No way. How can something this small shoot 5 watts? I'm skeptical. It's 550 dollars though, not cheap, but pocket sized. This would be great to show off to your friends, or for self-defense too. Wow look at the power and range. Whoa no way! 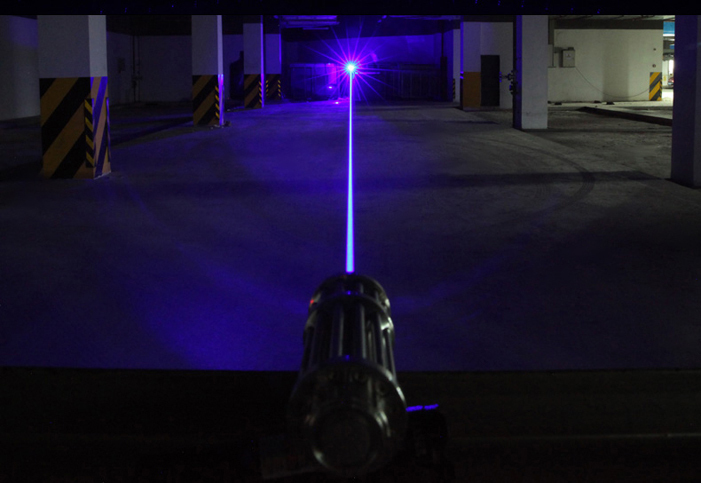 This site has laser gadgets that shoot 20 watts to 60 watts! No way! How can that be legal? Isn't that powerful enough to cut through steel or metal? I thought the higher power you could buy was 7 watts. Dang. No way. I wonder if they are exaggerating the wattage. Wow look how powerful it is and how far it shoots in the images below! Gif of the laser popping many balloons. 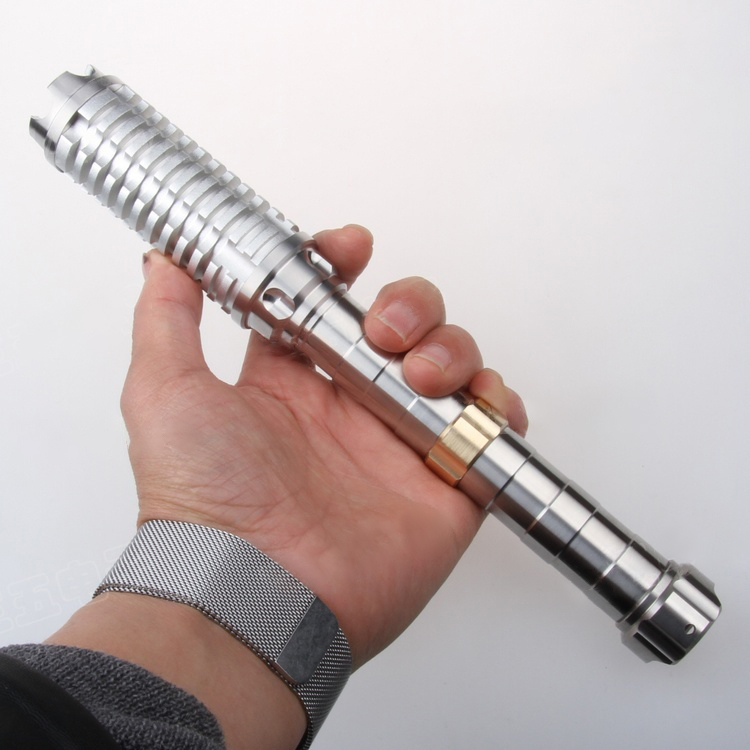 Wow this 30 watt one looks like a Star Wars lightsaber! Other ones with with 30 watts. Wow this one shoots 60 watts of power. No way! That could slide through metal! Look at the power of this thing! Wow check this out. I finally found what I'm looking for, a real life Star Trek phaser that shoots a real laser and makes the sounds of the Star Trek phaser as well! I been wanting this since I was a kid! Apparently someone on Ebay is selling it now, but charges over $1,000 for it! He took a phaser prop from Diamond Select Toys and modified it to shoot a real laser with the sounds from the original TV series! See below. His 4 watt phaser for $1500! Wow. Video demos of his real phasers. 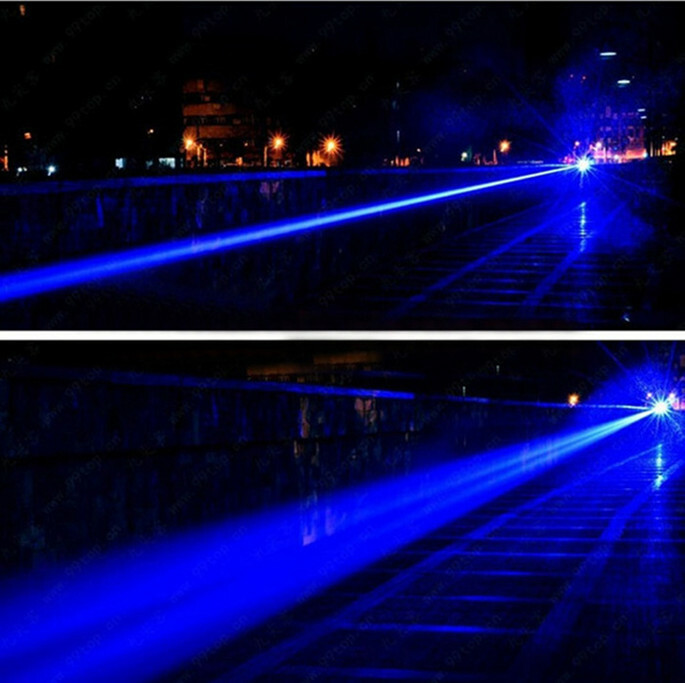 Documentation on how these Star Trek themed laser gadgets work. Wow I would love to have this but I'm not sure I wanna pay $1500 for it. That's a lot. Re: Wow you can get a real laser gun/gadget that burns things now! Look! Wow check this out. Several guys have modified the Star Trek phaser toy from Diamond Select Toys to shoot a real laser, along with the sounds of the toy at the same time! This is exactly what I've been looking for! This guy sells it for $750, which is less than the previous guy on Ebay selling it for $1500. 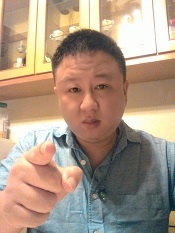 Here is his website and pricesheet. An American burns his passport, renounces citizenship.